The only way to show larger format articles, allows you to easily add or change your presentation without messy glue or tape. Just slide your artwork into the crystal clear polypropylene "pocket" pages for a highly organized and ever lasting artistic presentation. Made of durable polypropylene, it protects your artwork, photo or documents from virtually any office or household elements. 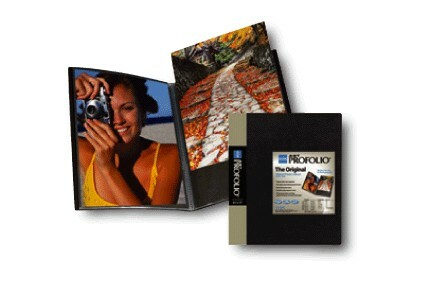 Each of the permanent polypropylene pocket pages are pre-loaded with black acid free mounting paper. 24 pages each.